A few months ago I wrote a piece on “How to get started with Twitter to get your message out”. 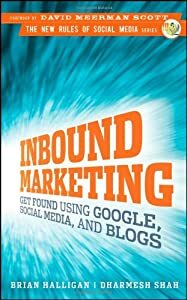 At that time, one of the books on my ‘must read’ pile was “Inbound Marketing” by Brian Haliigan and Dharmesh Shah, founders of Hubspot. I finally got around to cracking it open and thought I would share some of my observations.